Would you like to see your writing in print, organize support for an environmental idea, or run a mock election? Do you want to film a student production, compete with other high schools in math, or promote the visual arts all over campus? Whatever your inclination, whatever you’d like to try, Milton has opportunities for you. Milton’s wide range of clubs and activities profoundly affects students’ lives; students experience leadership, teamwork, performance and service. Your Milton experience will be enriched by service opportunities both on and off campus. 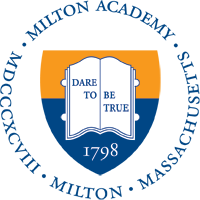 Programs begin right here at Milton, extend into the Greater Boston area, and even include Milton Academy chapters of national and global service organizations. As a student-elected leader, your input can have a real impact on life at Milton. Strengthen your public-speaking skills, learn diplomacy and organization, get to know your school administrators, and translate your ideas and your classmates’ ideas into action. Share in the diversity at Milton by joining one of the active cultural groups on campus. Each group warmly welcomes students of all backgrounds. Interests at Milton extend beyond the classroom, fields or stage. Anyone can join, and anyone can bring their own interests and hobbies to share with classmates. Poet, journalist, or critic, you can become a published writer at Milton. No prior experience required! When I was a freshman, I founded the Robotics Club with two of my classmates. 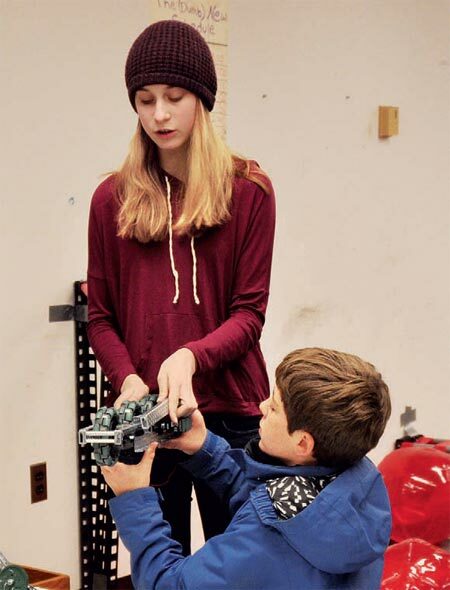 I had worked with VEX robotics in middle school and wanted to continue that experience at Milton. You work so hard on a robot for a long time, and it inevitably keeps breaking or not working, and then you finally figure everything out and it works! That’s the best part, and what I love most. And everyone on the team is involved. When you have a finished product, there is no robot that just one person built. You might work on it for a few hours, then leave the room in frustration, and another person comes in with a different view, fixes something, and you go from there. We started out with six members the first year, and now we have nearly 30 members. We meet in the Art and Media Center, where we store all of our tools and parts. During a competition in our first year, we placed seventh out of 80 teams. Mr. Bland, the head of school, invited us to his office to congratulate us, and it was so amazing to be recognized that way. The administration here makes itself really accessible to students, and this was my first experience with that. Since then, we stay in touch with Mr. Bland on our progress and results. We are looking forward to more competitions because they are so much fun, and it’s a real team effort.